The CLS's front end has forward-slanting hood and a grille contour that widens toward the base. Other design features include headlights that are wide, angular and low-set. 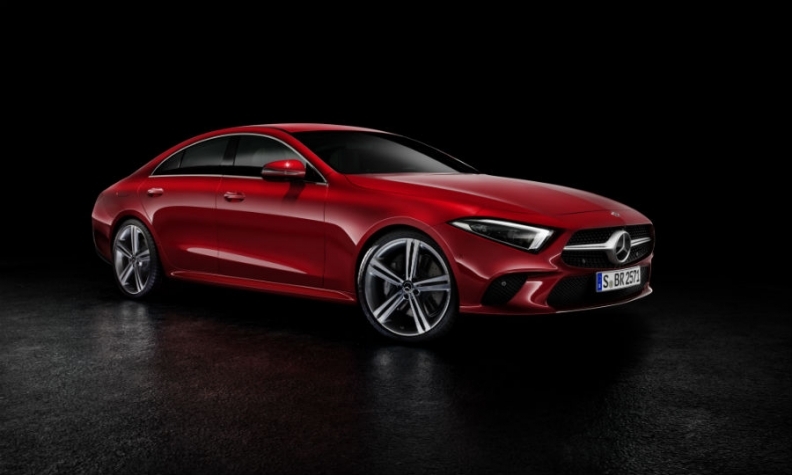 LOS ANGELES -- Mercedes-Benz hopes new fuel-efficient engines that include an electrical boost function and an even more dynamic appearance will help its new CLS reclaim sales leadership in the lucrative niche for luxury coupe-styled four-door sedans. With the new generation, the CLS is a five-seater for the first time. The change was made because of feedback from customers who asked for more practicality, Mercedes' product manager Lutz Regelmann said. Mercedes is debuting the rival to the Audi A7 Sportback and BMW 6-series Gran Coupe at the auto show here this week. The CLS advances the brand's "sensual purity" design language with its clear contours and reduced lines, the automaker said in a statement on Wednesday. "The new CLS is a design icon. In line with our 'hot & cool' design philosophy, we have reduced its DNA to an extremely puristic level," said Gorden Wagener, chief design officer. Wagener and his team have significantly reduced the number of sharp edges and creases in the third generation of the low-slung sedan that launched the niche for coupe-styled four door cars in 2003. The interior is dominated by the optional widespread digital cockpit comprised of two 12.3-inch displays arranged end to end and stretching across the dashboard, sharing one single continuous glass cover. Besides five seats, the CLS has more luggage space. When required the backrests can be folded down to expand the 520-liter luggage compartment. With the update, the CLS moves to a new platform -- MRA, or Modular Rear Architecture, the same platform used for the redesigned E class. It gets the latest suite of Mercedes semiautonomous driving features that debuted on the re-engineered S class. 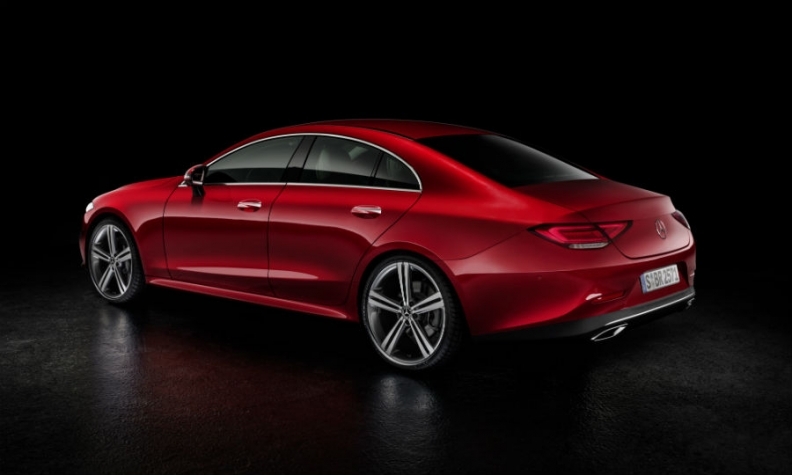 The CLS now has two-section tail-lights, half on the body and half on the trunk lid, to make it easier to use the trunk capacity. Comfort is key with every new Mercedes and engineers created an "energizing" comfort control that combines elements ranging from ambient cabin temperature, fragrances, heated/ventilated seats with massage function as well as the lighting and musical atmosphere. Neat touches have been added, such as a brief change in ambient lighting when the climate control setting has been altered to show whether the temperature is being increased or decreased. Its optional safety equipment includes adaptive cruise control, lane-keeping and lane-changing assist. The most advanced, called “Driving Assistance Plus,” can prepare front occupants for a side impact by giving them a sideways impulse, reducing injury risks. Practical features that will help to attract wealthy buyers include the Mercedes Me "Office function in the car," which enables drivers to dial into a conference call on the basis of a calendar entry. Although Mercedes does not publish sales figures by model line, the CLS was a success in its early days but sales slowed as it gained competitors. Last year, the CLS lost segment lead in Europe to its Audi rival after sales fell 38 percent, according to data from JATO Dynamics. Through October this year, its European sales are down 33 percent to 4,405, according to JATO Dynamics data. Sales of the Audi A7 dropped 35 percent to 5,176 and the BMW 6 series' volume was 3,687, down 25 percent. U.S. sales of the CLS fell 58 percent to 1,613 through October. Audi A7 sales were down 25 percent to 3,904 and BMW 6 series' sales decreased 21 percent to 2,635, according to Automotive News Data Center. The CLS will go on sale in Europe next March, in China in June and in the U.S. in July. In Europe, its initial engine range will comprise six-cylinder diesel and gasoline units. The most powerful engine, a 367-hp, six-cylinder gasoline unit, has a 48-volt electrical system that reduces fuel use with measures such as helping the engine when accelerating, allowing the car to "coast" and helping to power the battery through highly efficient energy recuperation. The mild hybrid system offers fuel savings that were previously only available with high-voltage hybrid technology, Mercedes says. The top-of-the-line diesel engine, which has 340 hp, gets variable valve-lift control for the first time.